This epic, thrilling journey through Bible scholarship and ancient religion shows how much of Scripture is historically false--yet the ancient writings also resound with theologies that crisscrossed the primeval world and that direct us today toward a deep, inner, authentic experience of the truly sacred. From a historical perspective, the Bible is shockingly, provably wrong, a point supported by today's best archaeological and historical scholarship but not well understood by (or communicated to) the public. Yet this emphatically does not mean that the Bible isn't, in some very real measure, true, argues scholar of mysticism Richard Smoley. Smoley reviews the most authoritative historical evidence to demonstrate that figures such as Moses, Abraham, and Jesus are not only unlikely to have existed, but bear strong composite resemblances to other Near Eastern religious icons. Likewise, the geopolitical and military events of Scripture fail to mesh with the largely settled historical time line and social structures. 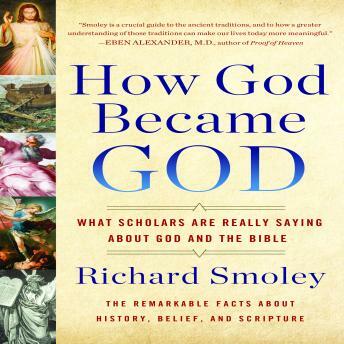 Smoley meticulously shows how our concepts of the Hebrew and Christian God, including Christ himself, are an assemblage of ideas that were altered, argued over, and edited--until their canonization. This process, to a large degree, gave Western civilization its consensus view of God. But these conclusions are not cause for nihilism or disbelief. Rather, beneath the metaphorical figures and mythical historicism of Scripture appears an extraordinary, truly transcendent theology born from the most sacred and fully realized spiritual and human insights of the antique Eastern world. Far from being "untrue," the Bible is remarkably, extraordinarily true as it connects us to the sublime insights of our ancient ancestors and points to a unifying ethic behind many of the world's faiths.